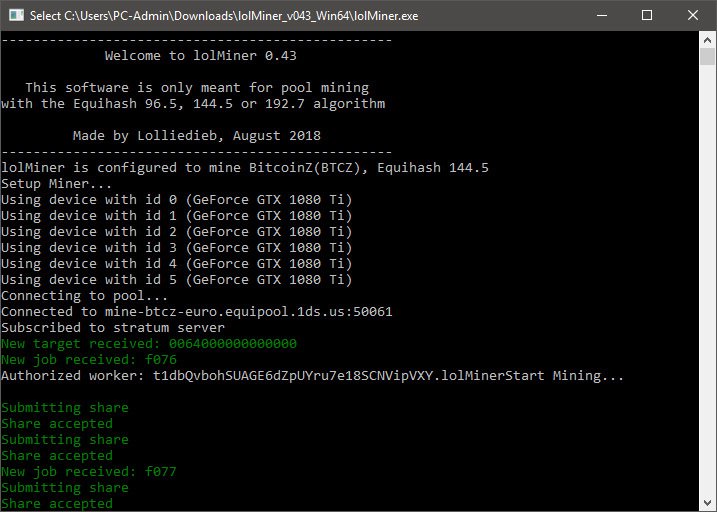 If you are mining any of the popular Equihash variants for GPU you might want to check the latest lolMiner 0.43 as it is an OpenCL miner for both AMD and Nvidia GPUs that supports Equihash 144.5 (ASF, BTG, BTCZ, LitecoinZ, HeptaCoin, Safecoin, Snowgem, ZEL), Equihash 96.5 (Minexcoin) and Equihash 192.7 (ZERO & SafeCash). The main feature of the latest version is the addition of support for the 192.7 algorithm used by oins such as Zero (ZER) and SafeCash (SCASH), there are of course multiple fixes and improvements applied as well. You can find the full changelog of the lolMiner 0.43 below. 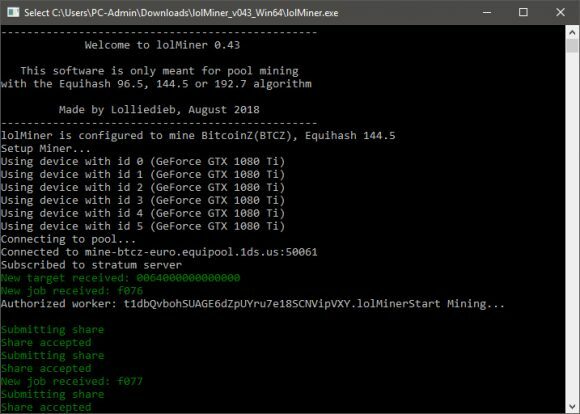 The lolMiner 0.43 is a closed source miner available wih binary only releases for Windows and Linux. Do note that there is also a built-in developer fee, Equihash 144.5 and 192.7 should have 2% fee and Equihash 96.5 is with 1% fee.